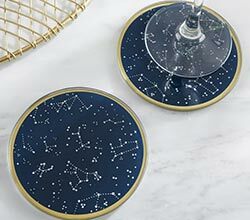 From decor elements as you're dancing under the stars to designing a coaster favor that will look lovely under guests' drinks, Kate Aspen knows how to make every element of your special day even more special. 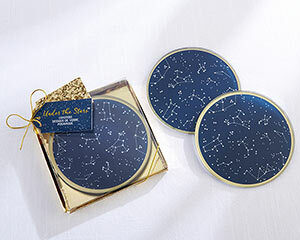 Our Under the Stars Glass Coasters start off with an elegant glass look and are made even more beautiful when decorated with a constellation print and gold border. Set of two round glass coasters featuring a beautiful white star constellation design on a navy background with a gold border. 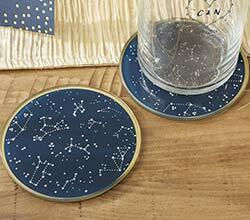 Each coaster includes three rubber feet underneath for protection. 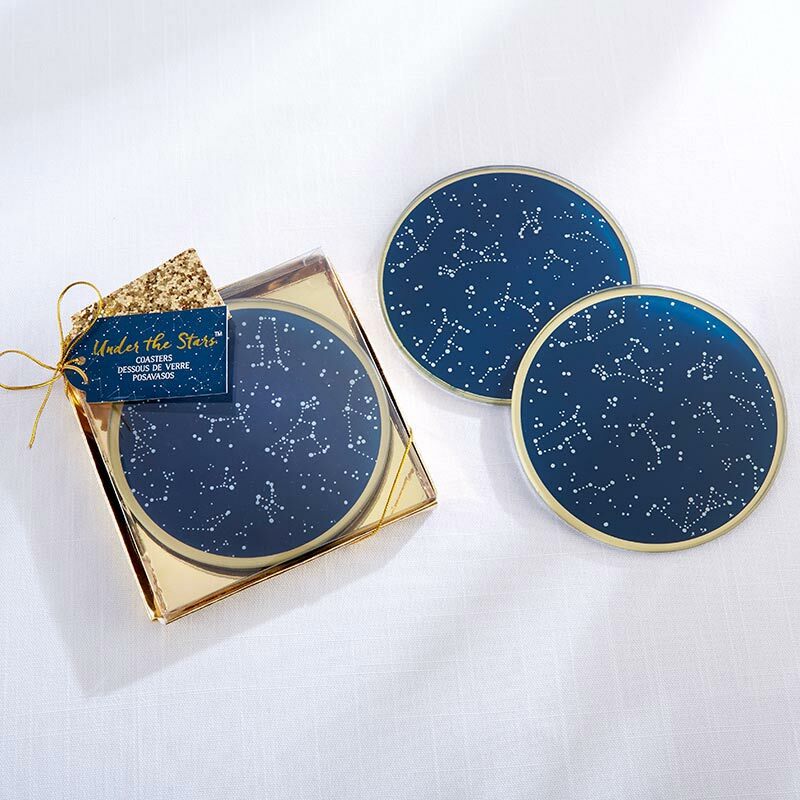 Gift-ready packaging includes gold gift box with clear lid, gold twine, and decorative gift tag featuring "Under the Stars" printed in gold foil.